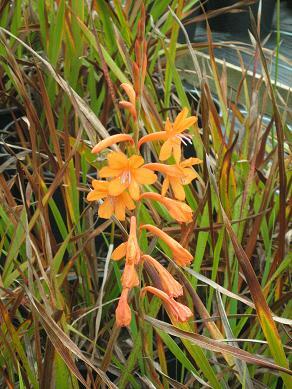 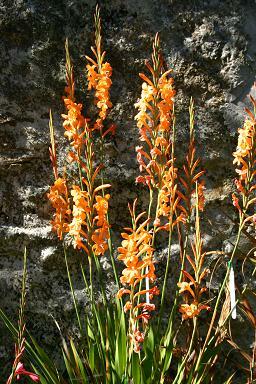 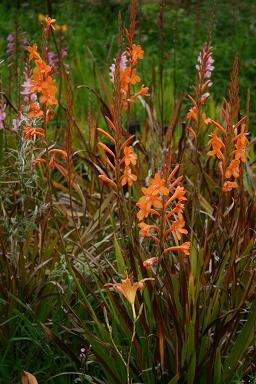 Watsonia tabularis has performed outstandingly well here in recent years. 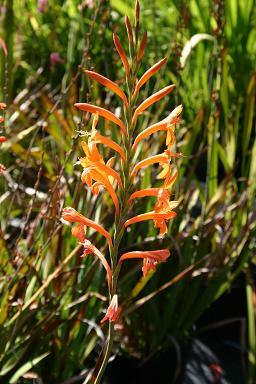 In the wild there are a couple of distinct forms. 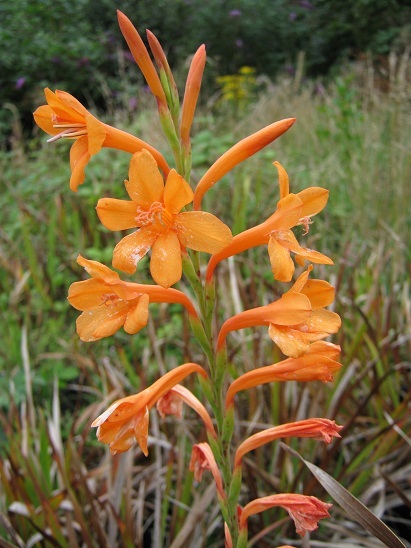 I have obtained the plant on several occasions from different sources, but have always ended up with this striking orange form.